"I want to see you, Swami", I began, "on this matter of receiving back into Hinduism those who have been perverted from it. Is it your opinion that they should be received?" "Certainly," said the Swami, "they can and ought to be taken." He sat gravely for a moment, thinking, and then resumed. "Besides," he said, "we shall otherwise decrease in numbers. When the Mohammedans first came, we are said — I think on the authority of Ferishta, the oldest Mohammedan historian — to have been six hundred millions of Hindus. Now we are about two hundred millions. And then every man going out of the Hindu pale is not only a man less, but an enemy the more. "Again, the vast majority of Hindu perverts to Islam and Christianity are perverts by the sword, or the descendants of these. It would be obviously unfair to subject these to disabilities of any kind. As to the case of born aliens, did you say? Why, born aliens have been converted in the past by crowds, and the process is still going on. "In my own opinion, this statement not only applies to aboriginal tribes, to outlying nations, and to almost all our conquerors before the Mohammedan conquest, but also in the Purânas. I hold that they have been aliens thus adopted. "Ceremonies of expiation are no doubt suitable in the case of willing converts, returning to their Mother-Church, as it were; but on those who were alienated by conquest — as in Kashmir and Nepal — or on strangers wishing to join us, no penance should be imposed." "But of what caste would these people be, Swamiji?" I ventured to ask. 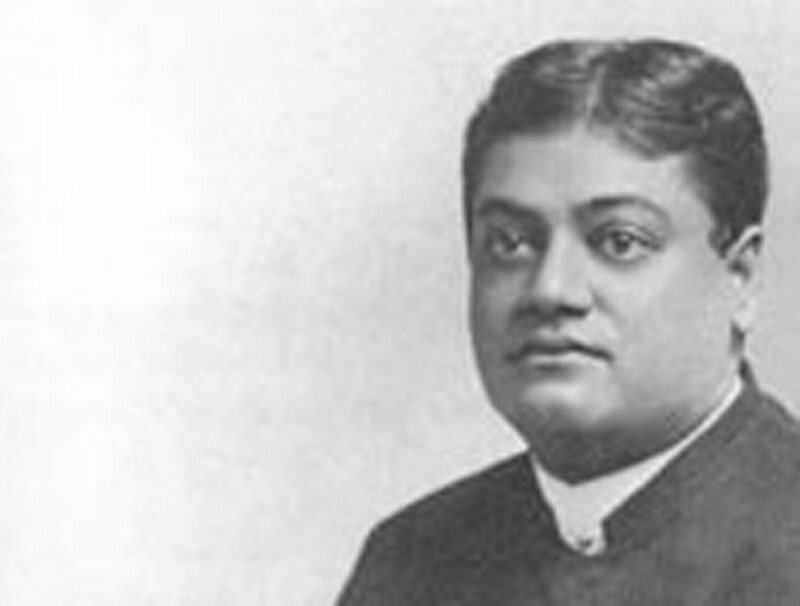 "They must have some, or they can never be assimilated into the great body of Hindus. Where shall we look for their rightful place?" "Returning converts", said the Swami quietly, "will gain their own castes, of course. And new people will make theirs. You will remember," he added, "that this has already been done in the case of Vaishnavism. Converts from different castes and aliens were all able to combine under that flag and form a caste by themselves — and a very respectable one too. From Râmânuja down to Chaitanya of Bengal, all great Vaishnava Teachers have done the same." "And where should these new people expect to marry?" I asked. "Amongst themselves, as they do now", said the Swami quietly. "Then as to names," I enquired, "I suppose aliens and perverts who have adopted non-Hindu names should be named newly. Would you give them caste-names, or what?" "Certainly," said the Swami, thoughtfully, "there is a great deal in a name!" and on this question he would say no more. But my next enquiry drew blood. "Would you leave these new-comers, Swamiji, to choose their own form of religious belief out of many-visaged Hinduism, or would you chalk out a religion for them?" "Can you ask that?" he said. "They will choose for themselves. For unless a man chooses for himself, the very spirit of Hinduism is destroyed. The essence of our Faith consists simply in this freedom of the Ishta."